We wrapped up 2013 Cougar Baseball with our banquet last week. 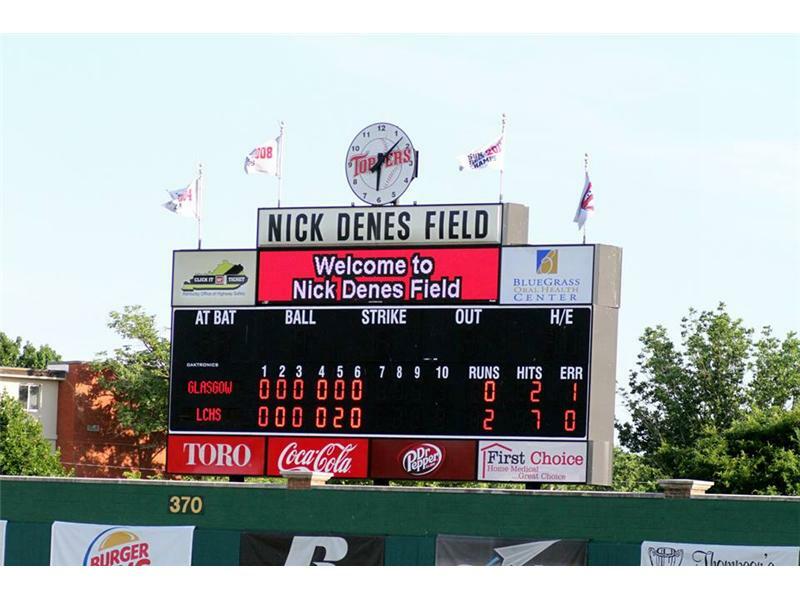 It had to be the most successful baseball season in LCHS history. We were 26-11, most wins ever, both district and regional champions. Special thanks to Roy’s BBQ for helping sponsor our awards night. We honored all seven of our seniors: Dustin Cartas, Gage Hales, Arik Haynes, Blake Gettings, Ryan Basham, Thomas Miller, Cody Hunt. 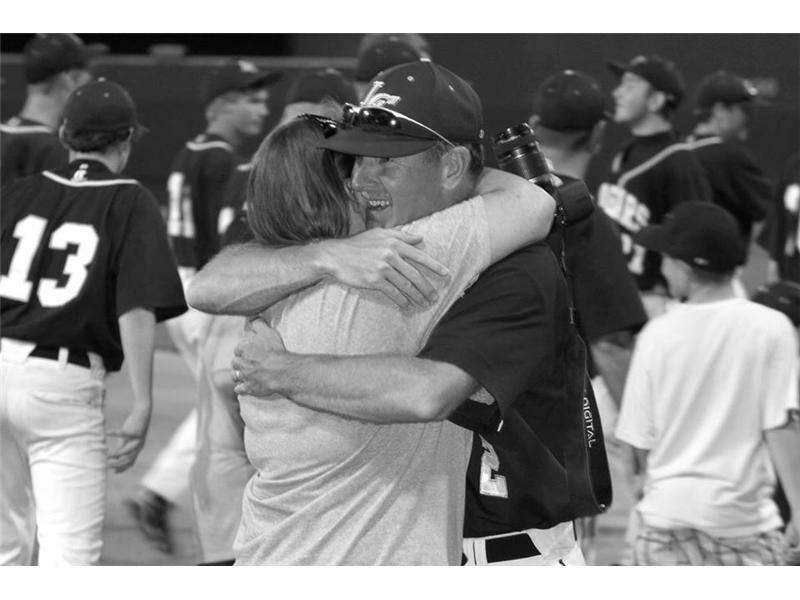 Our coaching staff: Assistant Coach Travis Anderson has coached baseball for the past eleven seasons but will not be returning due to him taking an assistant principal’s job back home in Calloway County. Coach Anderson has coached many sports in his time at Lewisburg and LCHS over the past 11 years and will be missed. Also assistant coaches Adam Decker and Kyle Wall, and myself. It was a special year for me personally, winning my first ever region title, 4th region coach of the year and received my 300th win. This was my 17th season. Award winners: The triple crown was won by Dustin Cartas, 6 HR, 39 RBI’s, and .450 BA. Dustin, in my view, is the best high school baseball player in our school’s history. A six year starter mostly as a catcher and all time career leader in almost all offensive categories. His career totals are 674 plate appearances, 233 hits, 189 RBIs, .428 batting average, 102 walks, 30 home runs, and only 23 strikeouts. He made all district six years in a row, 2011 4th region sophomore showcase participant, 2012 Junior West All-Star selection, 2013 Senior West All-Star selection, 2013 First team All-State, and I believe he is the only Cougar to ever make first-team all state. This summer he was selected first team catcher on Louisville Slugger High School All-American Team, which is nation-wide. The Mark Thompson Award, which goes to the best pitcher, was won by Caleb Bruner, with 71 innings pitched, 1.37 ERA, 7 wins and 3 losses, 80 strikeouts and 22 walks. 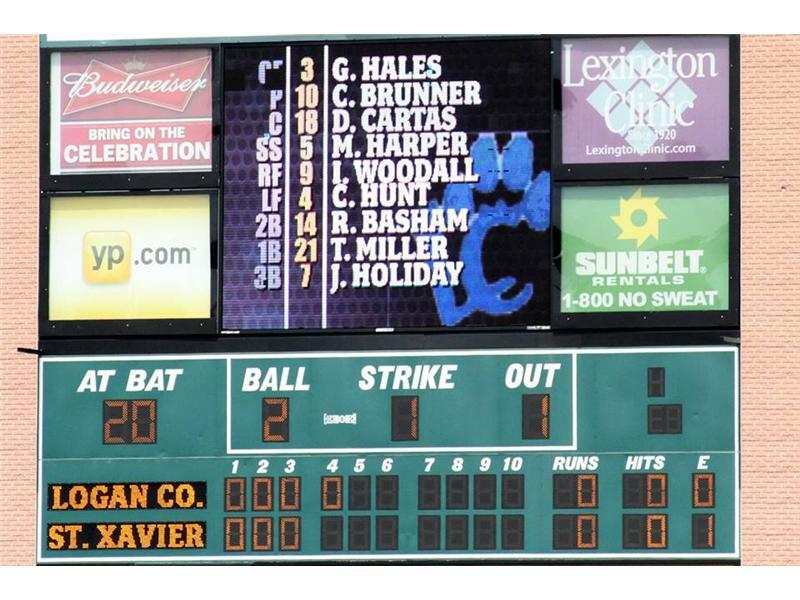 Caleb is only a sophomore and had an awesome postseason, shutouts vs. Russellville in the first round of district, and Glasgow in the region semifinal, and seven innings of no-hit shutout before we lost to St. X in the state 2-1 in extra innings. Golden gloves outfield went to seniors Gage Hales and Cody Hunt. Both had great defensive seasons in the outfield with the lowest errors. Gage was our starting centerfielder and hit lead-off batting . 313. He led us in runs scored (41) and stolen bases. Cody started in leftfield, batted .260 and also was a big contributor in our postseason run. 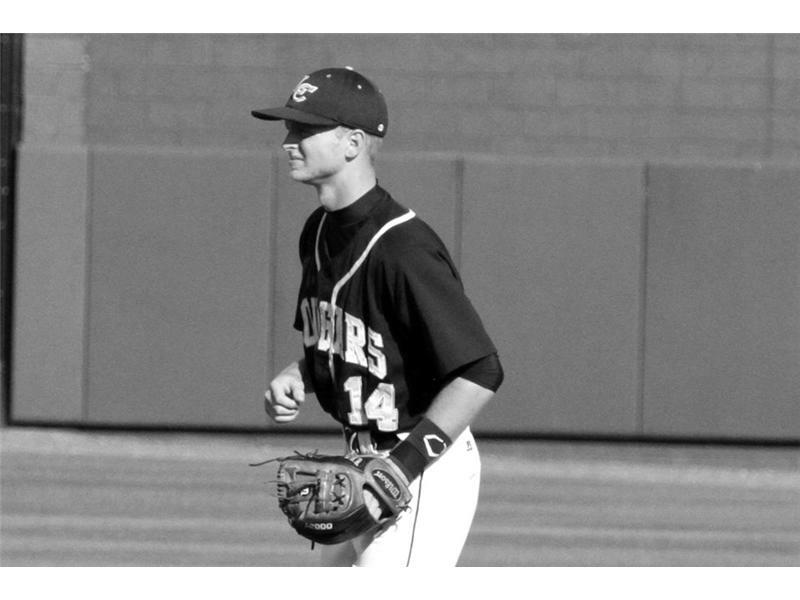 Golden glove infield: Matt Harper, who was in his first full season as the varsity shortstop, did extremely well. He was sidelined last season with a knee injury. Matt, a sophomore, took over for his brother Ryan, who started at short for the previous four years and currently plays for Lindsey Wilson College. Matt also had a great season offensively, hitting .350, 23 RBIs and scored 21 runs with only eight stikeouts. Cougar Pride Award went to Ryan Basham, who was one of our most valuable players, starting at five different positions throughout the year. He had 5 wins and 1 loss with two saves on the mound, throwing 39 innings. Batting .264 and started at second most of the time, he was a great team player. Rookie of the year was awarded to Hunter Britt, another sophomore who really made a huge difference in our team due to the injury of Thomas Miller, who was our number one pitcher returning this season and was only able to pitch 6.2 innings all season. Hunter had 6 wins, and 1 loss, 50.2 innings pitched and an ERA of 1.80. He pitched both the district championship where he shut out Franklin-Simpson for eight innings, and the regional championship game for us. Teammate Award: Arik Haynes, a senior reserve outfielder, played a big role by providing solid defense throughout the season. Future Star Awards for the JV went to sophomores Luke Woodall and Daniel Beaty. Other players that were mentioned were junior starting third baseman Joe Holiday, who had a great year defensively at and provided depth in our pitching staff. Junior right fielder/catcher/designated hitter Ian Woodall had the game deciding hit over Franklin in the district championship game and provided lots of offense with 30 RBI's. Senior Thomas Miller was injured most of the season, which did not allow him to pitch, but he kept working, hoping maybe he could, and was able to play first base and hit for us late in the year. Blake Gettings had a great senior year on the mound, throwing 43.1 innings, recording four wins and only one loss with a 1.78 ERA. Blake pitched the first game of the regional tournament, beating Metcalfe County. Reserve infielder Jacob Wood played big roles in lots of wins and helped at second base. Other reserves were bullpen catcher Trent Deberry, pitcher Lucas Dean, outfielder/catcher Tucker Baldwin, and the only freshman to make the varsity team, utility player and runner Mike Riley. All 19 varsity players and coaches received a plaque for winning the regional championship. It was a wonderful season, one that I will always remember. Special thanks to all those who were apart of it and helped in any way, too many to mention them all.